At OCWMG, we offer a weight management program that consists of one-on-one weekly visits with our Registered Dietitian and monthly visits with one of our Nurse Practitioners for a period of 12 weeks. During these visits, you will be introduced to many different tools like Mindful Eating, Intuitive Eating and Behavior Modification, and encouraged to use them along your journey. Gradually you will be making small realistic steps toward permanent lifestyle changes. If you feel you are ready for a lifestyle change which involves incorporating basic healthy eating, physical activity and changing your habits, then the Back to Basic program is for you. 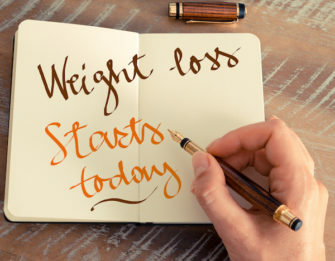 If you feel you need an added tool like an appetite suppressant to “jump start” your weight loss journey, then the Medical Weight Loss program may be for you. The Back to Basics Program is a scientifically sound, safe and successful program. It teaches vital skills that are needed to live and maintain a healthy body weight in today`s “toxic” environment of high-fat, high calorie, supersized foods, stress, and hectic lifestyles. Daily physcial activity and record keeping are strongly encouraged in order to achieve a realistic weight loss of 1-2 pounds a week. Comprehensive lifestyle change weight loss program with the use of medication. Medication for the control of appetite can be an effective aid to weight management when used as part of a comprehensive nutritional and exercise program. All patients who are interested in the medication will have a consultation with our registered dietitian to see if the program is appropriate. The program entails individualized counseling and goal setting towards a healthy lifestyle change. In addition, a physical, laboratory work up will be provided by one of our nurse practitioners or physicians before medication is given. Patients in the medical weight management program will have weekly individualized visits with a dietitian and a monthly visit with a nurse practitioner. An appetite suppressant is a tool used to help you get on the path to weight loss. But to be successful and sustain the weight loss long-term, the basic tools used for Back to Basics will be applied to Medical Weight Loss as well. Medical conditions that will exclude participation: Diabetes, hyperthyroid, kidney disease, pregnancy, breastfeeding, heart disease.